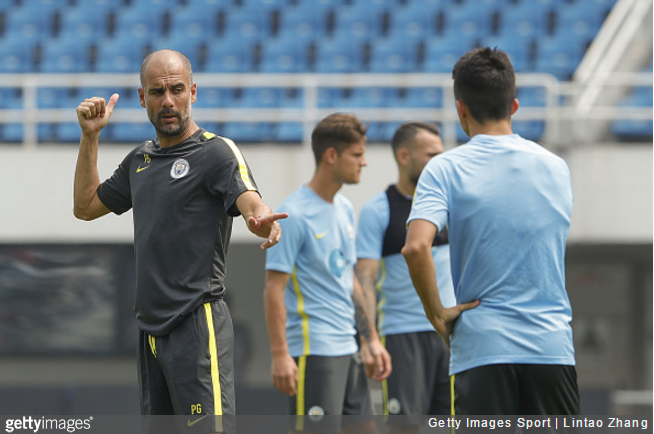 Ever the trail-blazing maverick, new Man City coach Pep Guardiola has wasted little time implementing his meticulous regime at the club. As revealed by City full-back Gael Clichy, Guardiola has stopped overweight players from being able to train with the first team until they shed their excess timber. He’s also banned pizza entirely, despite the fact that Leicester City won the Premier League title by seeing off slice after slice of the stuff last season. For my part, it’s the first time any manager has really done it. And we have a few players who are not training with the team yet. If your weight is too high, you’re not training with the team. You have to know that if your weight is 60 kilos and you are on 70 kilos, then you cannot play football. Some people think that’s normal but, in truth, it’s not always like this. I know because I’ve been playing football for a long time. It’s really refreshing and very exciting.